Fun times at the Mays house. Day drinking is “a thing” right? I may have to try to like wine. Looking back, the four older kids were SO EASY. The two Littlest Littles, I tell you….I’m noticing more and more grey in my hair. They are all named Ezra and Isaiah. 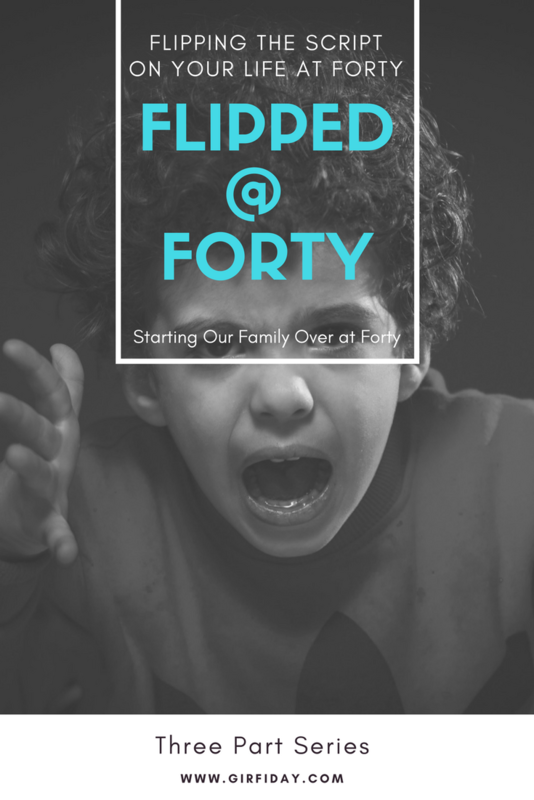 Who thought it would be a good idea to start over at forty? Me, you say? Well, then. Some of you need to check your “friend cards” for not warning us at least. It ain’t easier and it sure ain’t prettier. So, don’t you dare believe all these moms and dads who post pics of their perfect children and lives…this is the real stuff. The nitty gritty – Calgon take me away – crying in the closet – I need another Xanax – stuff. Those were some lean times. I feel guilty sometimes that my now 22-year-old got the shaft. I joke, she grew up with us. But it’s the truth really. We had NO IDEA what we were doing and we were doing it alone, without parents nearby. We were flying by the seat of our pants. Those were the years that if we didn’t donate plasma, we didn’t have gas in the car to get to work to buy the food or pay the rent. Plasma donations are what made our budget, if you could call it that, work. We would not have made it without it. But we learned to do a lot with a little. I could make $20.00 feed us for a week. Not the most nutritious meals – but it was sustenance and that’s all we needed. We look back to those times and know we could survive just about anything. And I know that about my daughter too. I like to think that having grown up with us and struggle with us, has contributed to the vibrant and independent woman she is. Of course, I still worry about her and I still carry some of that guilt. And because of that, I tend to say “no” far less than I probably should. But that’s normal, right? My now 16-year old son was born during the time when my husband and I were just starting our careers. He got to see us achieving, what we perceived as, the American Dream. The new mortgaged house, in suburbia, two financed cars, we finally got a dog – she was free at least. His life was much less chaotic. There was no moving every year or two for cheaper rent. He is my calmer child. And that makes sense. Life was calm then. For a time. Then there are the Littles. We were both 42 when we became parents all over again. First with Jake and then Aydyn, Ezra and Isaiah – all at the same time. We had four little ones age three and under. Three of them in diapers. We had cribs everywhere. Toys everywhere. And laundry. Always laundry. I like to say it was managed chaos. It’s still managed chaos. Some days, it’s much less managed and mostly just chaos. Even with all the chaos – being a mom all over again in my, now, mid-forties, as opposed to my mid-to-late twenties -it’s quite a different experience. Certainly, our external circumstances are different. But I am also different. WE are different, both as individual parents and as a parental unit. Our focus has shifted. We are much more “present”. More confident in who we are as parents. We do not have the undercurrent of worry anymore. We are more intentional about taking the time to enjoy being parents, a luxury we did not have the first time around. The benefit of perspective and life experience is pure gold. My bones and muscles get sore much more quickly. And It seems really, really unfair to have age-spots appearing and greying hair while my youngest is still in pull-ups. It should be a rule that can’t happen. Those things should only happen when your children reach a certain age – no matter how old YOU are. And then there are the days like today, where all HELL has broken-loose. (Not H-E-double hockey sticks – but HELL, all caps HELL.) These are the days where I question what business I have being a 47-year old mom of preschoolers. A day when in the midst of questioning my abilities as a Momma, I’m met with parenting suggestions from someone who does not have children – and it almost sends me over the edge. She meant well and is a fabulous woman – but it’s comments like hers that underscore my own insecurities as a parent. Days when I am doing it all wrong. That something must be wrong with ME, that my kids aren’t the Angels that everyone else’s kids appear to be. Where there is the slightest fear that I might be raising little serial killers. It certainly appears that way when the second I am taking a business phone call and have to step out of the room, the two Littlest Littles proceed post-haste to actually attempt to murder each other with their bare hands. And then….divinely inspired kind words float through the time and space of the Interwebs and my mom-tribe encourages me…. “You are not alone.” “Been there.” “It will pass.” It’s like fresh air. Calming my trembling spirit. I am truly not alone. And we are certainly not the only ones who feel as if they are failing at this parenting gig most days. Age has given such perspective in so many areas of my life. In my career, in relationships. I am so much more forgiving. Willing to freely share what I know with others. A desire to reach back and grab as many people as I can on the journey. So why is it so hard to be that confident as a parent? We are certainly not perfect. Not by a long shot. But there are perfect moments. When my four-year old climbs up into my bed to give me a hug and squeezes me as hard as he can. When my seven-year old excitedly shares with me a book he wants to get at the book fair, remembering that I told him it was one of my favorites as a child. Sitting down for dinner and looking across the table and seeing all of my children together enjoying just being together. It’s the moments that make all the difference. Oh, how I would love to freeze each and every one of them so I don’t forget them. Forgetfulness….another side-effect of aging (sigh). And all the other times, in between “the moments”, I am grateful that I have my own tribe of “super-mom’s” on stand-by to reach back and carry me forward. It almost makes me forget about my age-spots and grey hair. You are a super hero to me! I never had kids and I am 45, but I always say I still would do it if given the chance. My Mom had my little brother when she was older and she expresses that in some ways it was harder to have kids at an older age because of the lack of energy, which accompanies youth, but in some ways it was easier because of the wisdom and experience. Sounds like you are doing a really good job. Crazy enough, you’re at the more “typical” mom age for my area (one of my closest friends just had her second at 41, and quite a few of the women in my mom’s group were in their mid-40s for their first child). It feels a bit lonely as the outlier for sure, as most of our friends don’t have kids/are just now starting to get married. Being a mom is tough at any age to be sure.